This luxurious 2br with loft townhome in Glen Ellyn is sure to impress! The elegant foyer leads into a gourmet kitchen loaded with stainless steel appliances, quartz counters, and 42" cabinets with crown molding! The elaborate kitchen island and dining area can accommodate several guests for your entertaining pleasure. Coupled with the large family room with fireplace and mantle, you&apos;ll have a home sure to wow your family and friends. 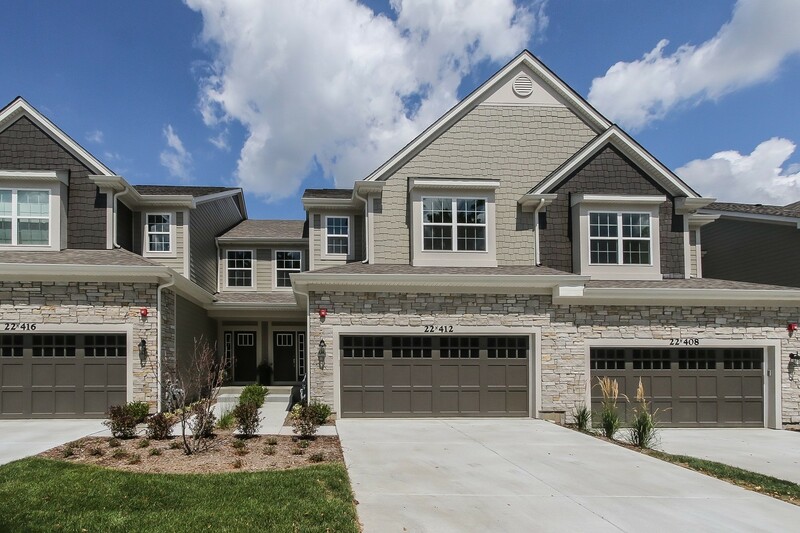 A beautiful angled oak staircase leads you to the second floor loft where you will find a generous master suite showcasing a gorgeous master bath with walk-in spa shower, and direct access to the upstairs laundry. Opposite the master, is the spacious second bedroom and bath, with the loft offering additional space to work or relax. It&apos;s complete with a deep-pour full WALK OUT basement with bath rough-in, and an attached 2 car garage. This home features an industry leading 15-Year Transferrable Structural Warranty and is "Whole Home" certified.